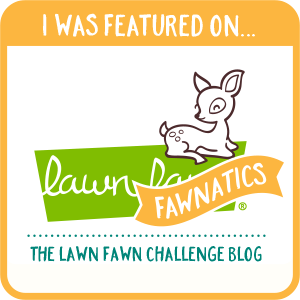 Today's post features Favorite Flowers used in three different ways! 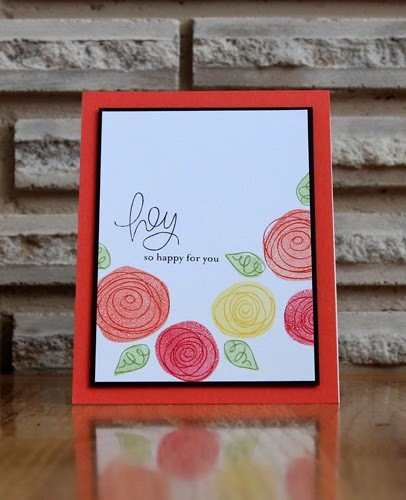 This first card was a bit of a "warm-up" card from my weekend stamping extravaganza. 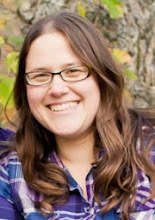 I had flown into Calgary (only 1.5 hour flight), and then had a two hour commute to Lethbridge. It was an alright drive, plenty of fun conversation and pretty landscapes to watch, however, the creative juices don't always flow easily when you're just sitting down to get started. For this card, I found a cheerful colour scheme and decided to go with the cluster approach. One thing I really like about this set is that it has the solid images that match the swirly floral design. I stamped my images once off for the solid image and then stamped the swirl directly over top. It worked out quite well! Colours used here were Pear Pizzazz, Tangerine Tango, Daffodil Delight, and Strawberry Slush, plus Black. For this next card, I wanted to try Stampin' Up! 's new blendabilities markers. I went with the Melon Mambo and Old Olive families. I stamped a similar cluster design of the flowers and leaves in Memento's Tuxedo Black and got to work colouring them. For the lighter flowers, I coloured the flower first with the lightest marker, then loosely followed the swirl with the medium marker. For the smaller flowers, I coloured the flower first with the medium marker, then loosely followed the swirl with the dark marker. The leaves were done using the same basic idea- light marker for the whole image, medium marker for the swirl. I ended up outlining everything with a grey marker to give it an extra pop. I rarely do diagonal type designs, but my crafty friend Chera encouraged me to do it. I'm glad I did, the more I looked at the card, the more it grew on me! Colours used here were Melon Mambo, Basic Black, and White. 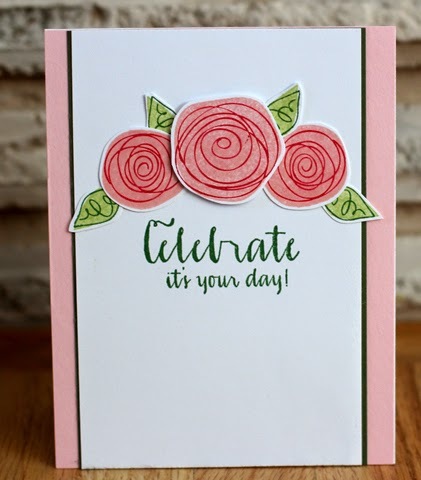 For my last card, I wanted a simple design- something other than my go-to cluster stamping. I stamped the flowers and leaves on white card stock and then cut those out. I positioned the center flower on mounting tape to pop it up. All of the flowers have a bit of clear Wink of Stella on them. This last weekend was my first time using that stuff, it's great! 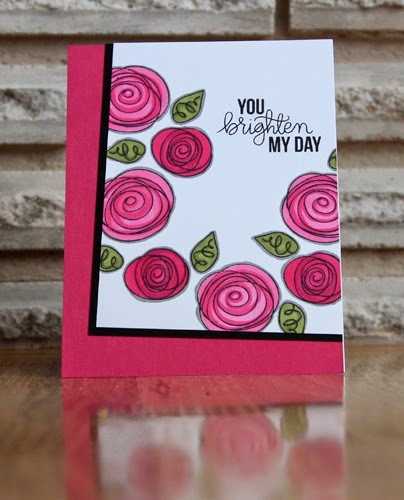 I finished off this card with a fun sentiment from WPlus9's Strictly Sentiments 5.